To feed the elephant in the room, Jackson, can you tease anything about "New Moon" for the yearning "Twilight" fans out there? Jackson: It's gonna be raging...action-packed, more steamy romance. You get to see a lot more crazy stuff happening. We went deeper into the world now, and it's gonna be a fun thrill ride for everyone. The 100 Monkeys have performed with Rob Pattinson in the past. Any chance that'll be a recurring collaboration? Jackson: Well, I mean, Rob's a busy guy...(laughs) We've had a few chances to play with him. He's an awesome musician. How has "Twilight" mania affected the band's popularity? Jared: - escape into a fun land. Enjoy good music. Jackson: Yeah, we like to have a good time. That's what we're always trying to do - play music for as many people as possible. Jared: Hopefully, they come in ready to rock out and have some fun. That's all you can expect. Ben G: If you scream loud enough, we'll make up a song that you decide what it's called. Things like guitar picks and sweat. Jackson: We like to give things away a lot on stage. Jared: Sometimes we bring monkeys and throw them into the crowd. 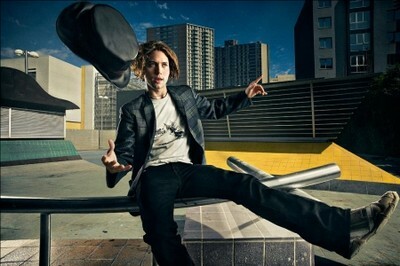 We have a few pictures of Jackson Rathbone in two different photoshoots. Enjoy! First off, we have two pictures of an uknown magazine, but who are we kidding? we don't really care, do we? 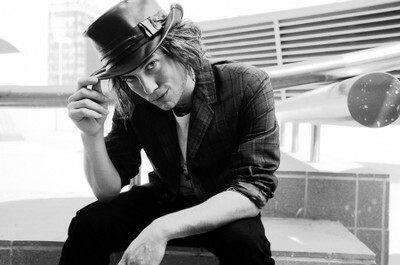 Jackson Rathbone is a triple threat. An amazing actor, singer, and writer. Women can only imagine what Jackson might be looking for in a woman. Some might think that any woman he might take a second look at would have to be drop dead gorgeous. Wrong. Jackson opens up about his favorite features about women, dating advice, and how to seal the deal for a second date with him! Gabrielle: What are qualities you look for in women? Jackson: I look for a woman with a sincere smile and a love of the arts. I love being able to go out on crazy dates, like breaking into zoos after hours, so a woman who has a sense of adventure... but I also love a calm night of jamming on a beach at midnight with a bonfire, whiskey, and friends... so a woman who can hang in any situation and not get too clingy if I'm playing some music and spending time with my friends and family. GC: In your opinion, what do men really notice about women? JR: The way she carries herself. Many times, my friends and I will notice a girl who is beautiful, but just looks miserable in her demeanor. It's a turn-off. Life's too short. GC: What is your ideal first date? JR: Well, I live with the band I'm in, 100 Monkeys (100monkeysmusic.com), so I like to take a girl out to dinner alone, go for a walk and chat, and then come back to our "Monkey House" to see if she can hang with my friends/bandmates. If she's cool to jam some tunes with us, shoot nerf guns at my bandmates' heads, or at least not get offended when I pick up a guitar... then I know there'll be a second date. GC: What is a total deal-breaker? JR: If a girl is involved with another guy. I don't believe in the ideology of "if it's a different area code, it's not cheating," I think that's more of an "idiot-ology." Too many times I've been hit on by a woman with a ring (engagement and/or wedding), and it disgusts me, to be frank. Even if a woman has a boyfriend she is about to break up with... to me, it's wrong. I won't even consider flirting with a woman unless she is completely single. GC: What is your favorite feature about women? JR: Everything. I am a lover, not a fighter. I don't fuss over the fine points, I just love it all. GC: How important is personality versus looks? JR: I find the way that a woman walks, talks, and carries herself is more important to me than the way she dresses or make herself up. I don't care how gorgeous she is if she knows it and shows it off too much; that woman is far too ostentatious and superficial for me. One of our band's first singles is called "Ugly Girl" (available on iTunes) and it's about a woman who sacrifices her personality for looks. To me, that makes any woman ugly. GC: What's sexier: A woman in a little black dress and heels, or a woman in sweat pants and a tank top? JR: Depends what time of day. And where. GC: In your opinion, what is the most important part of a relationship? JR: Selflessness, honesty, and a healthy sexual attraction. I believe a sort of feral instinct takes place in any relationship that works... a sort of "pheromone cupid" strikes, if you will. From there, it's all about keeping it honest and selfless. It takes two to tango, right? GC: What is the worst dating advice you have ever taken? JR: "Say whatever she wants to hear." I forgot who told me that, but it's complete bull-shenanigans. Trying to be what she wants is a terrible idea. I try to find a woman who I can be myself around, and who can be herself around me. I hate when relationships change people, but it happens... sometimes for good and sometimes for bad, but when two people fall in love and are still the same people, that's true love. In my humble opinion. GC: What first grabs your attention about a woman? JR: Her eyes and her smile. GC: Do you have any kind of hygiene regimen in the morning? Anything special you use on your skin, hair, etc? JR: Haha! Nope. Just soap and water... I also brush my teeth with toothpaste, use deodorant, and I, occasionally, will shave. GC: Do you prefer women with makeup or natural? JR: Natural, mostly, but I've been known to be extremely attracted to the punk rock look. Though sometimes, it's a little too much and you can't tell how a woman will look when she wakes up; it's really about whatever makeup makes her feel more like herself and more comfortable with who she is, not the other way around. In other words, a woman who defines her makeup and doesn't let the makeup define her. Blonde or Brunette? ---You forgot redhead. Tall or Petite? ---In the words of Goldilocks, "just right." Favorite eye color? ---I'm color deficient... I like eyes that smile. Short hair or long hair? --- I don't have a preference, I guess... I've dated women with haircuts much shorter than my own and women with hair long enough to lasso the moon. Jackson Rathbones new movie The Last Airbender comes out next summer, but the trailer has hit the internet! 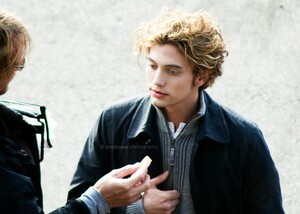 Jackson has also made a short interview about filming New Moon. the vampire society and their legacy. It keeps getting deeper. and have the characters develop. you only have two hours to develop your character. But when you have three films, you get six hours. It's like you can go anywhere and everywhere. And that's a blessing as an actor." "I'm actually producing my first film this year called ‘Girlfriend,'" he says. "New director Justin Lerner kind of made a splash at a couple festivals last year with a short film he did." Jackson is set to produce the movie along with one of his bandmates from their rock group, 100 Monkeys. A UCLA film school grad, Lerner's most recent short film, "The Replacement Child," screened at places like the Telluride Film Festival, the Los Angeles Film Festival and the Windrider Forum during Sundance. While the 24-year-old didn't kick us any details about the film's plot or potential cast, he did talk enthusiastically about the chance both to produce and act in "Girlfriend." "It's an exciting time," he said. "I get to play a part in it and have a little bit more say behind the scenes, behind the camera, which is really interesting. It's what I've always really wanted to get into. I love film. I love the art behind it." This time for MTV. Enjoy! 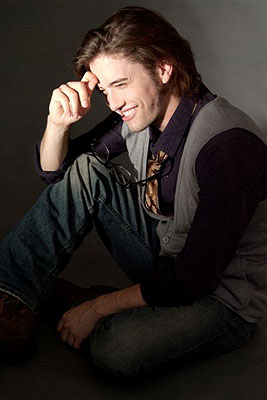 Watch out Robert Pattinson - there's another musical talent in the "Twilight" family. 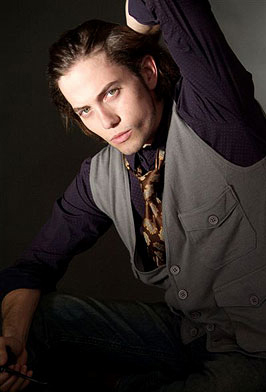 Jackson Rathbone-a.k.a vampire Jasper Cullen - is making a name for himself on the music scene with his band 100 Monkeys, and there's a chance they might make an appearance on the "New Moon" soundtrack. "We'd love it," Rathbone told MTV News. "[But] we're not really pushing for it," he said. "It's one of those things where if they want to put our song on the album, I'm not going to complain." The 24-year-old describes his band's sound as "old school rock and roll," that is heavily influenced by blues and funk. "It's not whiney music," he added. After the jump, the actor talks about his now-famous scene in the "New Moon" trailer and working with director Chris Weitz. Rathbone doesn't let his music get in the way of his acting, though. "Whenever I'm working on the ‘Twilight' movies, I work all day on the film and then I go and rehearse with my band at night,"
Speaking of "Twilight," Rathbone said that if fans were excited by the recently unveiled "New Moon" trailer, they will be blown away by the full-length film. 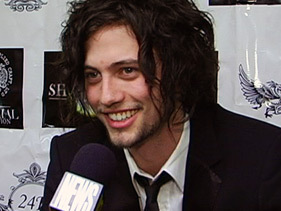 Shock till you drop were very lucky and got a very interesting interview with Jackson Rathbone. Before trying to get more details about the sequel New Moon out of the young actor, we asked Rathbone to talk about the experience of making the first film before things got so crazy. "The first film, it was one of Summit's first films. I think it was actually the second films they produced, the first being ‘Never Back Down.' It felt like a bigger budget indie film. We were all kind of making this movie together, and the way Catherine Hardwicke directs, it's really a fun vibe that was on set. It was a little stressful because as we kept filming, the press kept getting more of it and the fans kept being more into it. We started making this movie and people are already loving it and it's not even out yet. It has six months to come out and they're already lining up in the movie theaters. That was an experience in and of itself. I wasn't really prepared for it, but I was really thankful for it, because they're so supportive of what we do. As an actor, you need an audience." He then talked about the major differences with the production on the sequel. "We have a bigger budget, we have a little more pressure to keep that feeling going, but the nice thing is that you're delving more into the story now with ‘New Moon,"
He said. "As the films progress, you get deeper into the lore and they mythical world you're establishing with the werewolves and get more into what the werewolf society and legacy is. It keeps getting deeper." We wondered if he noticed a big difference with the vibe on set having a new director with Chris Weitz replacing Hardwicke and with the added pressure of making a sequel to such a big hit. "Whenever we got back to film ‘New Moon,' the first day I was back, all the cast was hanging out in Peter Facinelli's room and it was just like a family reunion. It was like we'd been away for a month; it didn't seem like a year. It was just really nice to kind of get back together and have that family environment. In terms of having a new director, nothing really changed too much. It was just a different subtle vibe, because the director manages the energy on set. It was great. 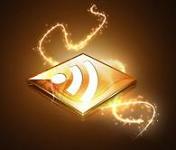 We all wanted to come together and make another great piece of art for the fans. It's really about what they want to see, because they're the ones buying the tickets." He did say that the recent trailer didn't show the entire scene of him getting thrown into the piano, but that he did get to do a lot more of his own stunts in the movie. "That's only the beginning of it. They didn't show the entire thing. It's gonna be a really action-packed movie." A really good interview, huh? Jackson i Criminal Minds ikväll! För er som missade Criminal Minds i torsdags, då Jackson Rathbone spelar "Huvudrollen" i detta avsnitt. Så finns det en till chans inatt! 00.20 på Kanal5 börjar den. Och för er som kan, se den gärna! Jag gjorde det själv i torsdags och satt som fastklistrad. Jackson är verkligen jätteduktig på att spela. Särskillt en sån svår roll som han spelar i detta avsnitt. Själv kommer jag sitta och kolla på avsnittet igen. Inte nog med att serien är en av mina favoriter. Utan en av mina favorit skådisar ska gästspela!